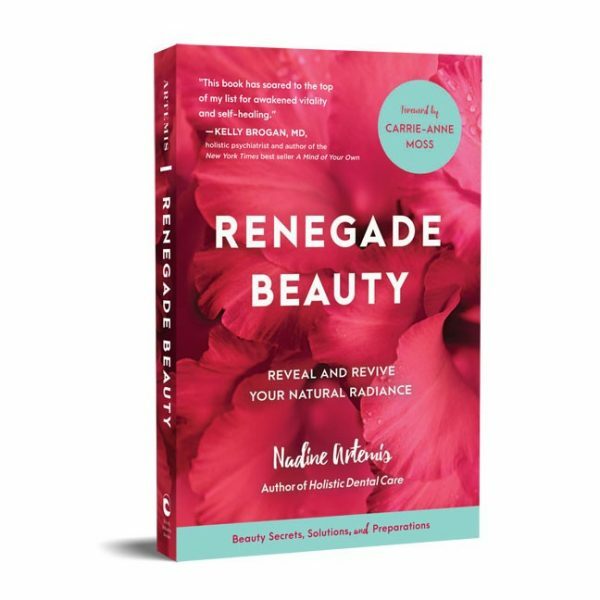 In this brand new interview with Nadine Artemis, I discuss with her her new book, Renegade Beauty. Renegade Beauty is about looking beyond that which is skin deep, and connecting with the cosmic forces of sun, air and botanical elements to create beauty. I talk to Nadine about how she came to write the book, and why it’s such a uniquely necessary work. We discuss controversial topics as our relationship to the sun, yoni health, oral care and Nadine’s own personal regime, best foods and superfoods for beauty, the importance of a healthy microbiome, and her favourite Living Libations products. Nadine has as incredibly in-depth holistic understanding of the body and our skin and how best to treat it, and this is a must-listen interview for everyone who wants the best for this physical vessel that we inhabit. Living Libations products are available in Europe from RawLiving.eu. You can buy the book Renegade Beauty here. Ionic toothbrushes here.